The Hope Public Schools Board will wait until the 2020-2021 school year to finally determine whether the ninth-grade cohort at the Hope Academy of Public Service will become part of a ninth grade academy at Hope High School. 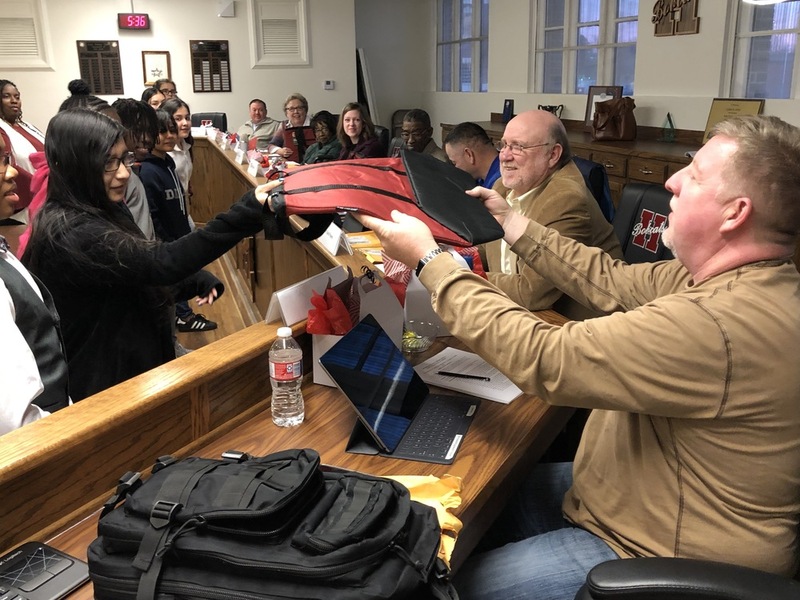 The board voted Monday night to have data collected through the 2019-2020 school year regarding student growth, attendance and discipline within the ninth grade cohort at HAPS before making a determination. Zone 8 Representative David “Bubba” Powers made the case for the extended study, saying data collected from the fall semester this year alone was insufficient as a basis for such a change. Powers said he remains committed to the concept of a ninth grade academy at Hope High School, whether the HAPS cohort becomes part of that academy or not. Zone 5 Representative Linda Haynes argued for the move, saying she had previously not supported it. But, after talking with students and parents at HAPS, Haynes said she is convinced the desire is there within the student body for the move to the HHS academy. She said her greatest concerns were with the amount of instructional time lost by HAPS ninth grade students in transportation to and from the HHS campus for activities at HHS. Haynes said there was a consensus in her conversations that HAPS students would not be able to fully participate as high school students because of that issue. Board President Willie Buck said he is not convinced that the HAPS model has not worked for ninth grade students, and he continues to support it; while Zone 4 Representative Jimmy Courtney said he needed more information about the specific design of the HHS ninth grade academy before deciding to make any change. Also Monday night, the board heard encouraging information from HPS School Improvement Specialist Carla Narlesky from the district’s current 45-day progress report to the Arkansas Department of Education. Narlesky said attendance levels at all campuses, except the Creative Action Team campus, have remained up, and a plan has been developed to resolve that difference. Academic growth on all HPS campuses has been evidence in the first semester of 2018-2019, she said, with Clinton Primary School showing growth in English Language Arts, Beryl Henry Elementary School, Yerger Middle School, HAPS, and HHS showing ELA and/or math growth on standardized testing. Narlesky said the CATS campus has one student ready for graduation in May who is already enrolled in classes at the University of Arkansas – Hope. She invited the board to tour each campus. “I’d love to show you the work that our campuses are doing,” Narlesky said. 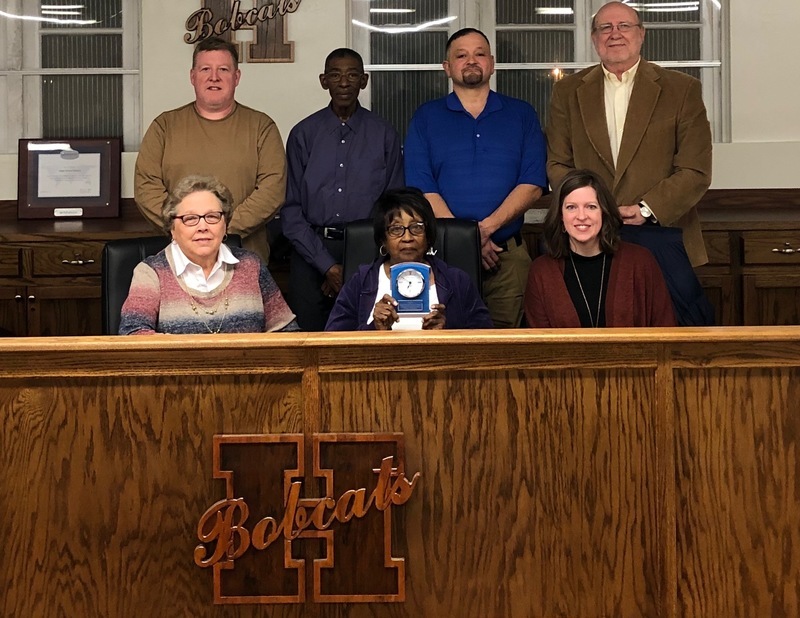 --Recognized senior board member Viney Johnson, along with the Arkansas School Board Association, for her 30 years of board service. --Ratified a “memorandum of understanding” with UAH regarding the Hope Collegiate Academy on the UAH campus. --Adopted policies and procedures for the pending school-based health clinic at Hope High School. --Corrected a billing error for ZSpace software at HAPS. --Adopted personnel recommendations, including after school tutoring faculty for the Beryl Henry campus.